As I shared some time with you yesterday, I realized how much I love you lately and that I owe you an apology. I used to dread spending time with you and chuckled when anyone called you the "dreadmill." I'm so, so sorry. I no longer dread you, and promise to never call you by that unkind name, even when we go through a rough patch, which is bound to happen now and again. I also want to say thanks for always being there. When it's so hot outside that I don't even want to go get the mail, you are there. When there don't seem to be enough hours in the day and the only time I can slip on my running shoes is while my girls nap, you are there. When the day has faded into darkness and the thought of running outside scares the bajeebies out of me, you are there. When I need you, you are there. Last but not least, you deserve mad props for what you help me do. Many of my runs wouldn't be the same without you. You force me to push myself; you won't let me slow down; you don't let me quit. The bottom line is without you I would not and could not be a runner. Thank you treadmill. Hmm, I hated my treadmill today. Needed to get 10 miles in, but it was 90+ degrees outside. Ran 1/2 mile on the treadmill before calling it quits. The treadmill and I are not good friends. 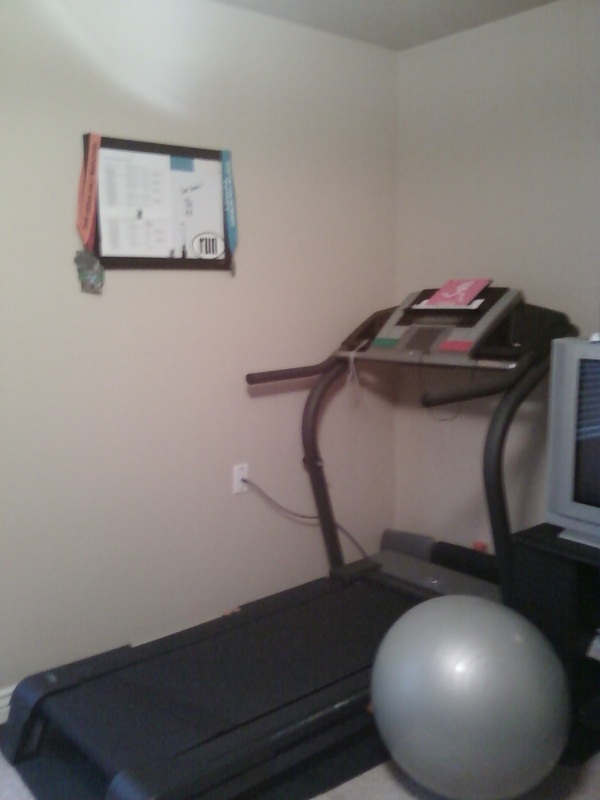 It takes a whole another type of will power/determination and mental condition to get through a run on the treadmill. I'm glad you have come to terms with your beloved treadmill. The treadmill and I are not usually on good terms, especially when the temperature is above ~28 degrees (I run outside until I literally can't breathe), but recently I have found a soft spot for it. Speed work/intervals just aren't the same on land! Haha. I love my treadmill, too. He's there for me when it's 20 below windchill and he's there when it's 95...I wouldn't be the runner I am today without him. Glad I'm not alone! Could have written this letter! love it! My relationship with the treadmill is getting better, slowly. Great letter! I feel the same way about my treadmill. I hope you hang this letter up above the treadmill. It would serve as a useful reminder when you have your next episode of unpleasantness. I definitely liked the letter, but I fear which other household fixtures you may be thanking next. I have to admit, I have called the treadmill "dreadmill". But I really think that my opinion would change, if I had my OWN treadmill in my house and could watch things on MY TV, with MY air conditioning and a fan that works. During weather extremes, treadmills are great! I was reminded of that this week, too.